We try to keep it real with our clients. Any birth is a success. It takes great courage to walk into one of the most overwhelming, intense, and beautiful experiences in life- birth. No matter how it happens it takes so much strength and determination. We're excited to open the dialogue more about collaborative care, homebirth transfers, and especially necessary cesareans. We don't do "homebirth at all cost" as my mentor and sister midwife has always put it. We do "healthy mama, healthy baby" as safely as possible while preserving a families birthing desires. Sometimes this means home birth, sometime this means an epidural in the hospital, an sometimes this means a family-centered cesarean. I love this mama's story and her willingness to share what worked for their family! "In 2010 I had my daughter via c-section. I was induced at 39 weeks because the doctors estimated her to weigh about 10lbs and that was "too big". I got to 4 cm dilated and "labored" for about 9hours and at 5:57pm they performed a c-section for failure to progress. I knew I wanted another baby but the thought of having another c-section made me cringe, so I looked at my options. This is when I decided I definitely wanted to attempt a VBAC!! 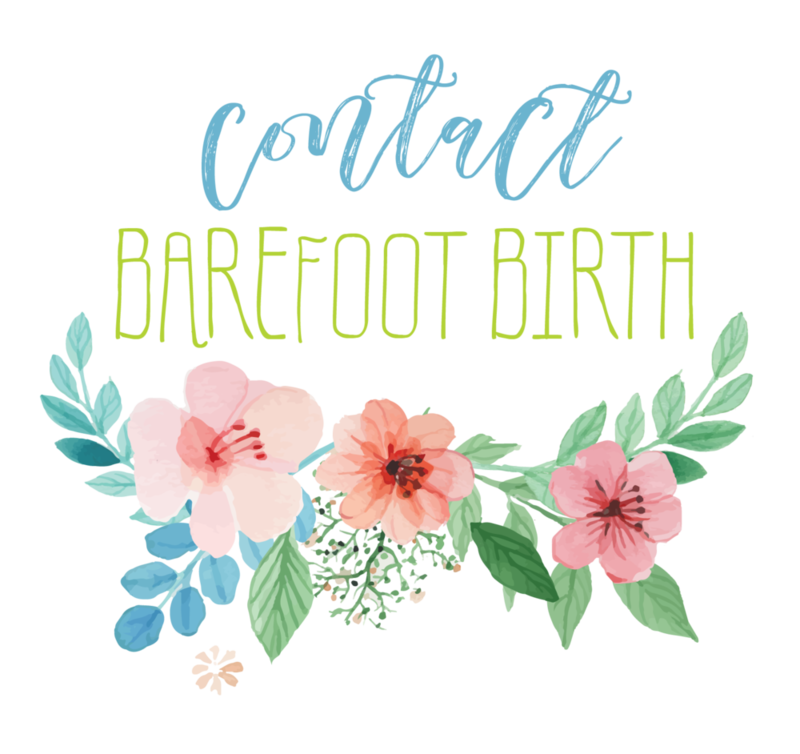 I did some research and shortly discovered I wanted a home birth with a midwife! 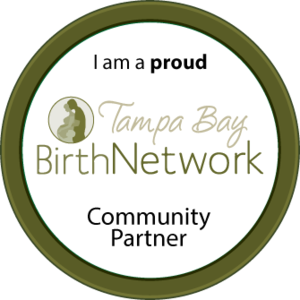 I became pregnant and started my care with Charlie from Barefoot Birth. She was so great through out my entire pregnancy and as I became closer to my due date we went over all the different things that could happen and discussed many different scenarios. At 39 2/7 (it was a Wednesday morning at about 8am) I started having contractions about 10 min apart, they weren't very strong or consistent so I told my husband to go ahead and go to work, they continued through out the day at this pace. That night they became a little stronger and started coming about every 7 min lasting around 30-45 seconds. We tried to continue our daily lives to take my mind off of them, we went to dinner and visited my mom (this was New Year's Eve). After the ball dropped we headed home. At 3:30am they became much stronger and were coming every 6 min. At this point I called my mom and told her she may want to come and get my 4 year old in the next few hours just in case. My husband then set up our birth pool and I was glued to my yoga ball. My mom arrived about 6:30am to pick up my daughter but not much had changed so I asked her to just sit with me until my daughter woke up. At this point my contractions were pretty strong and were beginning to last a full minute. I called Charlie (my midwife) and she explained that this sounded more like prodromal labor and not active labor. The contractions were strong enough that i couldn't pay much attention to my 4 year old so I asked my mom to please still take her even though this could go on for a while. The contractions continued all day and all night (I must have gone from the birth pool to my bath tub 100 times), and so I called Charlie again Friday morning and let her know not much had changed and that I hadn't slept at all. She came to my home around 2:30pm and checked me and I was 3cm dilated and 70%effaced. She then told me my baby was posterior (sunny side up) and that I could try different things to help him flip. By Friday night I was completely exhausted and I developed a terrible shooting pain in my lower abdomen making it impossible to walk, I was instructed to go into the hospital to be evaluated and to make sure everything was ok. When I got to the hospital (Tampa General Hospital) I was still 3 cm and my contractions were picking up, they came every 3 min and lasted over a minute. About 5 hours later they decided they wanted to admit me and asked me if that's what I wanted to do, I looked at my husband and just cried, I knew at this point if I went home and this continued for a few more days and I didn't sleep that I might not have the energy to push our bay out and that terrified me... I knew I needed some rest so that I could accomplish our VBAC. I told the doctor I was ok with being admitted and given some pain management to help me rest. About 6 hours later (9am Saturday morning) I received an epidural. I laid on my left side to try and help the baby flip and I was able to get some sleep. When I woke up about 3-4 hours late they checked me again and broke my water and I was now dilated 6 cm! I stayed this way for a few more hours and the doctor mentioned possibly giving me the smallest dose of pitocin to help me progress, I told her I wanted to wait a little longer and see what my body would do. A couple hours later being 6 cm still I agreed to a very small amount of pitocin, after about an hour my contractions picked up tremendously. My doctor checked me a couple hours after and I was 9cm. At this point I felt nothing but pressure, I kept telling her I wanted to push!! She checked me about 20 min later and said I was almost at 10 cm and the babies head needed to come down a little more but had flipped into the correct position. I told her I had to push. She then agreed to let me do a few "practice" pushes to see if that would help bring him all the way down. As soon as I started pushing she knew it was time, she called the rest of her team in to prepare for my delivery. I pushed for a little less then 15 min and my beautiful 9lb 12oz VBAC baby boy was brought into the world, my husband and I both cried with shock, relief, excitement and emotion. This was a very long 4 days for us but was everything we imagined it to be and more! I didn't get my home birth like I wanted and like we had invisioned it my entire pregnancy... But what I got was so much more! I owned my VBAC even in the hospital, I stayed in charge of every decision through out the entire process (I even took my placenta home) and I never became any less uneducated no matter how tired I was or how emotional I became. No matter where you give birth you have to remember that you are in charge. Things may not always go completely as planned but that's totally ok, if you just stay strong you can rock your birth and that's exactly what I did."